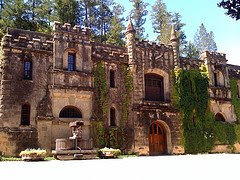 On the way out of Napa Valley, heading north on Highway 29, there is a signpost in Calistoga that points down Tubbs Lane toward Chateau Montelena. I had to turn off and see it in real life, having already seen it in the movie "Bottle Shock." Following the signs onto the property and into the parking area, I caught a glimpse of it through the trees. But on the way to the stairs, I was distracted by the beautiful and peaceful Jade Lake. 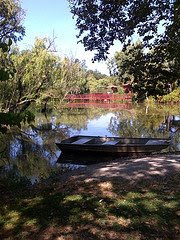 A rowboat was grounded along the shore and a red bridge led to a small structure patiently awaiting the next wedding to be held there. A short walk along the banks filled me with a feeling of quiet satisfaction. It's a really beautiful property. The stairs up to the winery building are rather lengthy. When I finally reached a point where the winery was visible, it looked exactly like it did in the film. I half expected to see Bill Pullman poke his head from the large doors. The tasting room is cool and professional in a woodsy sort of way. Pictures of the history of the winery are on the walls, along with memorabilia of the film and the 1976 Paris Tasting which is its subject. A very nice view back through the years of a storied winery. The staff is friendly, but maybe a bit stiff. There's a feeling of reverence that permeates the proceedings. 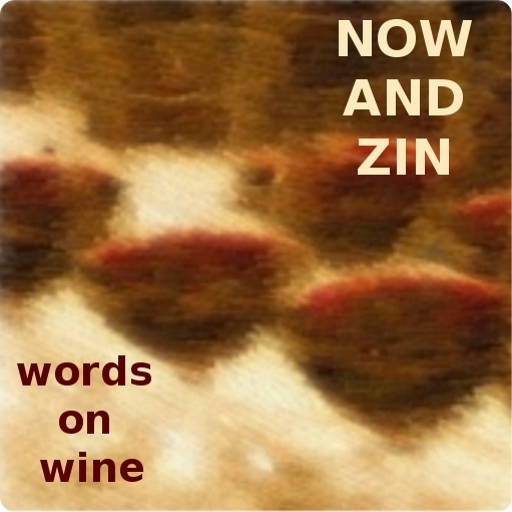 Five wines were on the tasting menu the day I was there, ranging in price from $22 to $135. The tasting fee is $20, and unlike the scene in the movie they are not offended when you pay them.